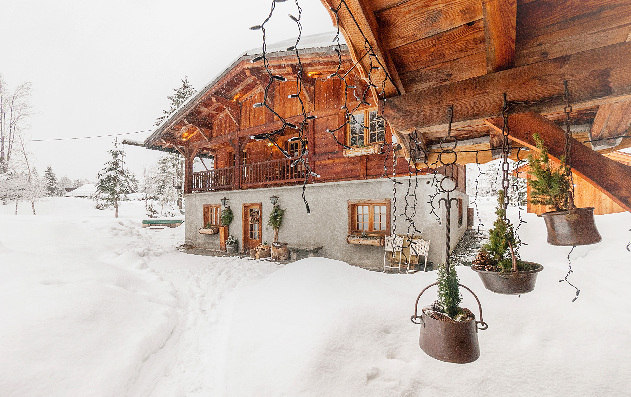 Lovely chalet in heart of Les Houches. This is a lovely recently renovated original chalet perfect for large family groups in a very quiet area in heart of Les Houches. 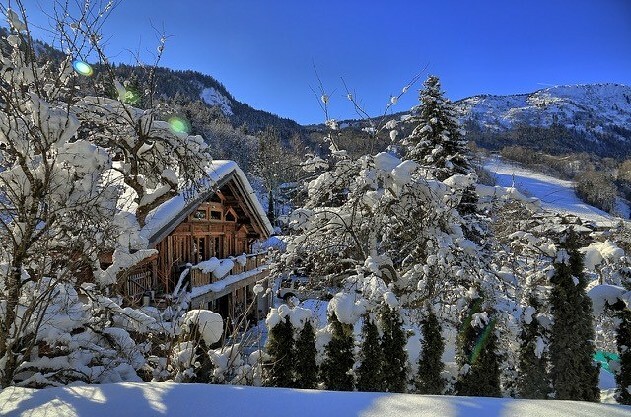 This lovely family demi -chalet is the perfect holiday destination situated right on the slopes of Les Houches leading down to the ski school and Prarion lift. SKI IN SKI OUT Situated on the slopes of Les Houches with the snow right outside the font door leading down to the ski school based in Prarion. Practical and elegant, comfortable and spacious. The main living area is all open plan compromising of kitchen, dining and living area. There are four main bedrooms (double only), one of them is also a family room equipped with a bunk room with two extra beds. 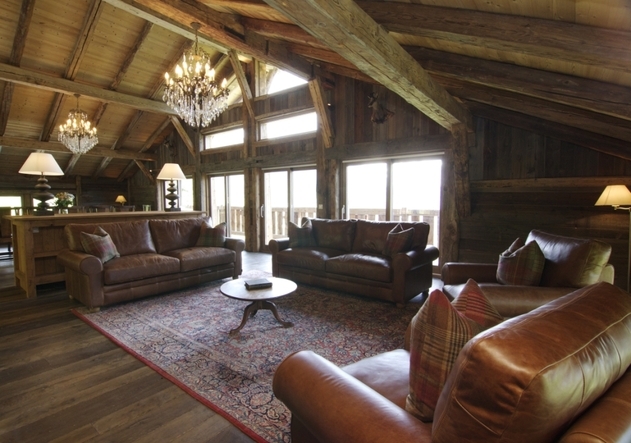 A cinema room and boot and ski room complete this lovely practical property. 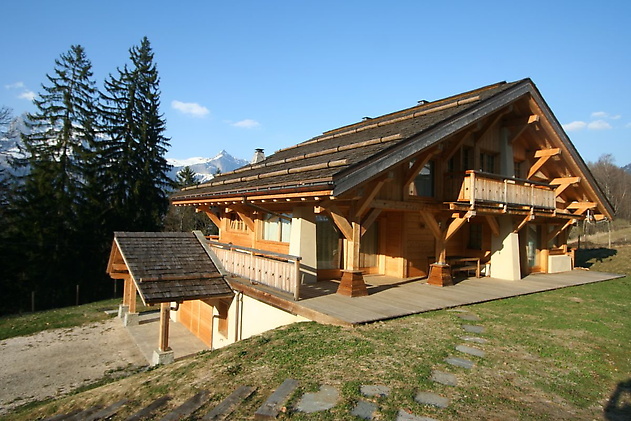 Beautiful and unique farmhouse in les Houches, close to ski lift, sleeps 12. 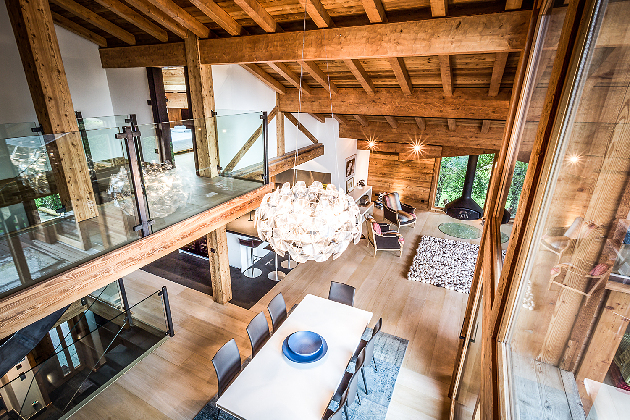 Chalet Abitibi is a stunning and elegant chalet located in the heart of Chamonix. 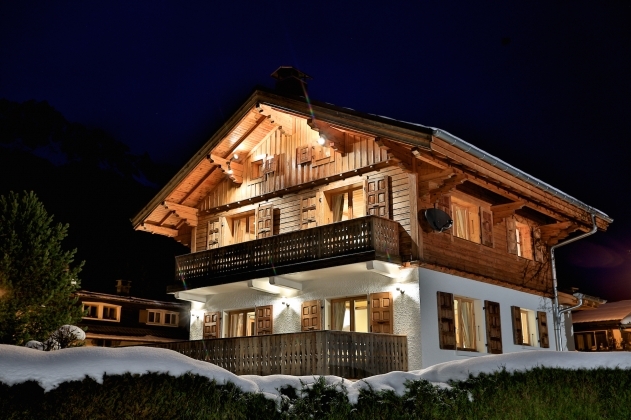 This chalet has 4 bedrooms and 3 bathrooms sleeping up to 10 guests. 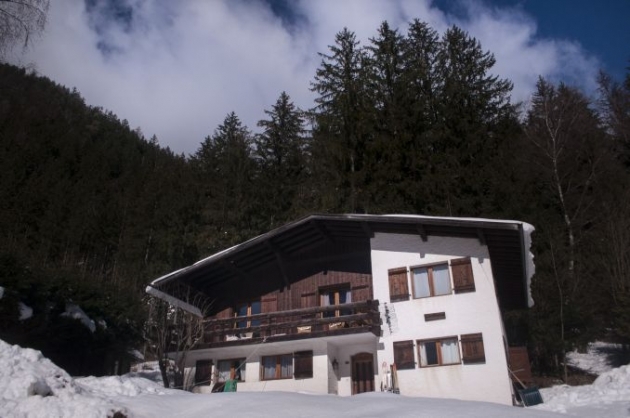 You will not find a better located chalet for skiing than Chalet Alice, Ski in, ski out is extremely rare in the Chamonix valley and this chalet is perfectly situated directly on the blue piste of Les Houches: ideal for beginners and intermediate skiers. Simply ski straight off the property and onto the piste... The chalet is fully equipped with a sauna, hot tub, log fire, wifi, wii, surround sound, flat screen tv, and UK satellite tv. Les Houches - the family-end of the Chamonix Valley: This fabulous piste-side location has spectacular views looking down upon the pretty alpine village of Les Houches and at the Mont Blanc massif. It is a great spot for beginners, intermediates and mixed ability groups..Sleeps 10 guests in 5 en-suite, spacious bedrooms, all with balconies and private facilities. 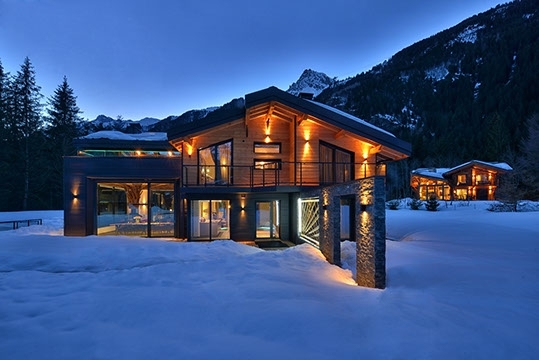 One of our favourite luxury chalets in the valley. Spacious, furnished to the highest standards and includes a cinema, sauna, pool table, nanny accommodation and outside Jacuzzi. Highly recommended! Les Bois. 5 minute walk from La Flegere cable car and about 5 minutes drive from Chamonix town centre. Sleeps 10 guests plus infants in 5 spacious double/twin bedrooms all with fantastic ensuites or adjoining bathrooms. 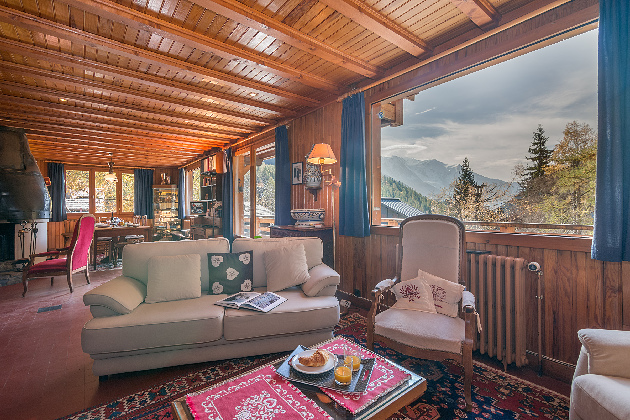 A wonderful Maison de Pays lovingly refurbished recently, this 4* chalet is a 5-10 minute stroll from the centre of Chamonix and 5 minutes to the Aiguille du Midi lift station for the Vallee Blanche. Situated in a quiet road there are wonderful views up to Mont Blanc. 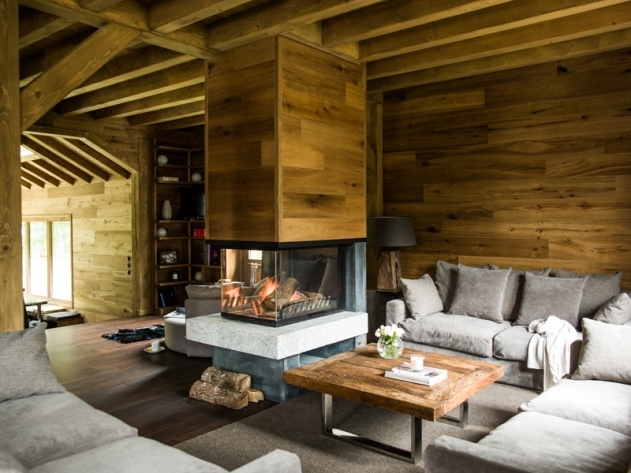 The interior is impressive balancing traditional chalet with contemporary Chamonix chic. It sleeps 8-10 people in two double bedrooms and two twin/doubles (plus two additional single beds). There is plenty of space for guests - by the fire in the sitting room, in the cosy snug with 130cm screen for DVDs in the separate dining area and in the study area. Outside in the garden there is a hot tub on the decking. Quote from a guest earlier this year: Gosh- just perfect for a group. The location was an easy walk to the main bus which really helps if you want a seat. 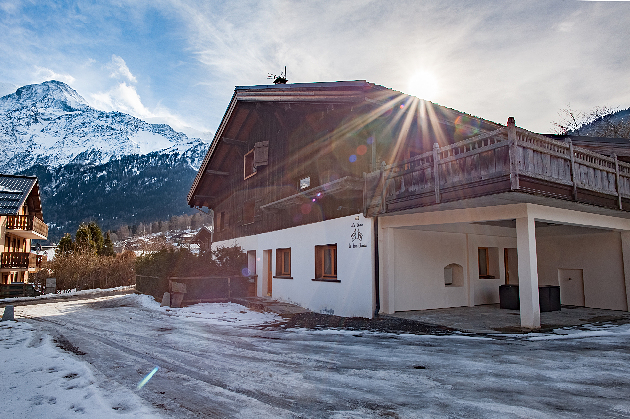 For a group - we are a family of skiers (not spa people) - this is the perfect chalet for location, comfort and well attended to for any needs that come up. 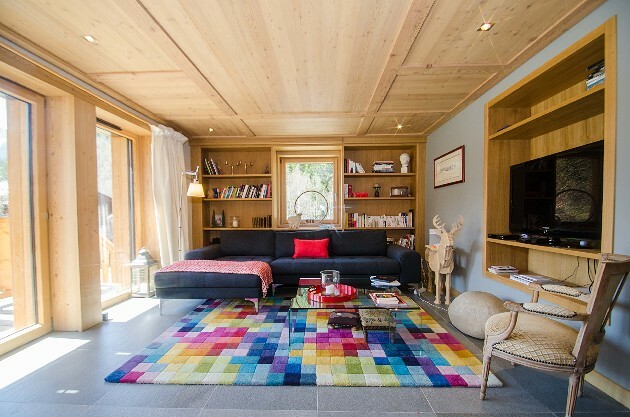 Chalet Star brings a little kitsch vibe to the Chamonix valley - it's a stylish contemporary chalet with an awesome location in Chamonix town centre. It has 5 twin bedrooms, all with ensuite bathrooms, and a super sociable open-plan kitchen / living / dining area. The stunning floor to ceiling windows look out onto a sunny terrace with magnificent views of the Mont Blanc massif. There's also a sauna, heated boot rack, ski room and parking for up to 4 cars. 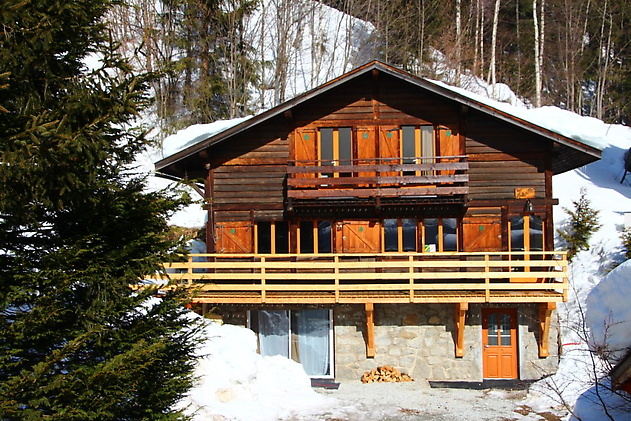 Charming traditional chalet in a fantastic central location in Chamonix. Sleeps 10 guests in 5 ensuite bedrooms, and has a cosy TV den, traditional dining room with log-burning stove and even a sauna! Perfectly placed looking out onto the piste the ski chalet remains private and exclusive to its clients, courtesy of its landscaped gardens. Great surroundings and location. 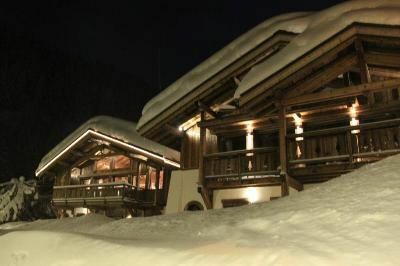 Located in the family friendly resort of Les Houches with an envious ski in ski out position. Just a short ski or chauffeured drive to the main lift and ski school 300 metres below. 5 ensuite bedrooms with the flexibility of twin or double bed configuration. 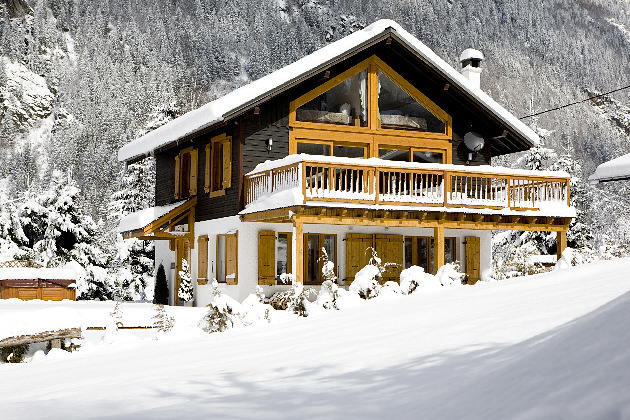 the chalet can accommodate up to 10 with 2 guest beds. 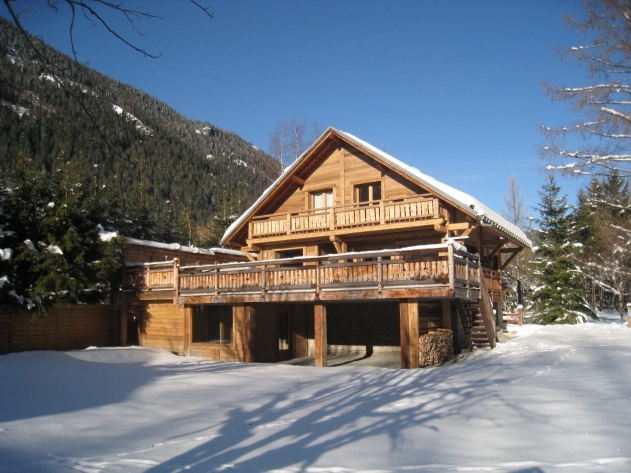 Luxury renovated chalet in Chamonix center, log fire, hot tub, sleeping 10 people in 5 en-suite bedrooms. Just 5-10 mins flat walk from the centre of Chamonix. Well positioned for access to the whole valley. Sleeps 10 guests in 5 super-king beds, all configurable as twins. Cots and high chairs available. 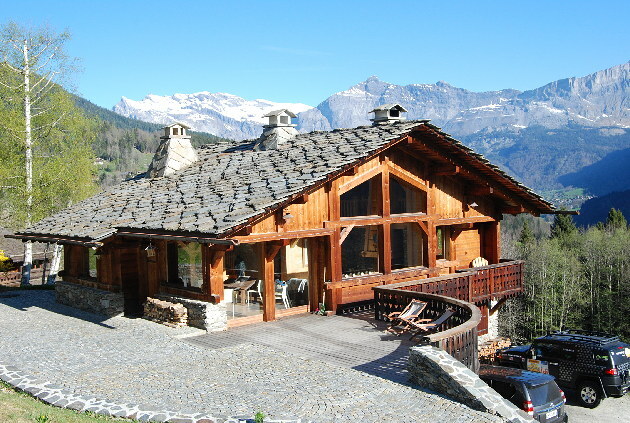 Chalet Sunapee is one of the oldest farmhouses in Chamonix and also one of the valleys most stunning properties. It is situated in the picturesque village of Les Bois  Chamonixs most sought after area. Both trains and buses stop in the village of Les Praz, which is a beautiful 10-minute walk from the chalet through the village. The ski area of Flegere is only a short drive or a 15-minute walk. Chamonix centre is only 5 minutes by car. Sleep 10 in 5 twin/double bedrooms. Built in 2016/17 this very high specification chalet offers 5 bedrooms including a self-contained studio apartment. The chalet offers a luxurious natural wood jacuzzi, sauna, gym and stunning views of the Mt Blanc range from the balcony and garden. 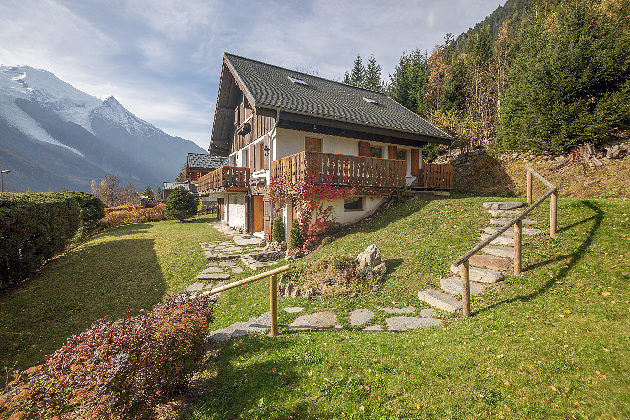 Chalet Annora is located in the beautiful and peaceful countryside in the valley of Chamonix, in the small hamlet of Les Iles, between Chamonix town centre and Argentiere. This very comfortable and charming family chalet has a social and pleasant layout with a large open plan kitchen and living area with a big fireplace and direct access out to the garden. The views are stunning overlooking the Mont Blanc and the Aiguille du Midi. 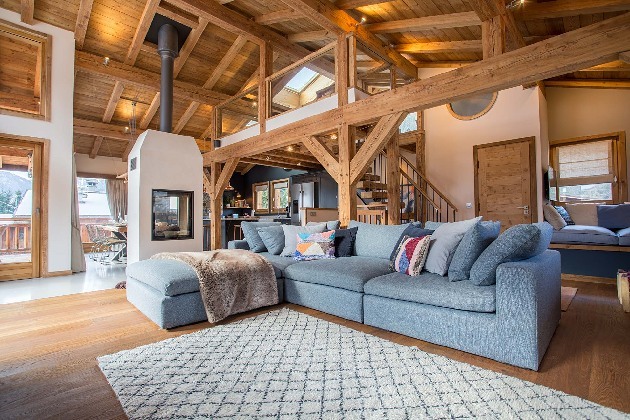 Chalet Annora offers a perfect luxurious base for 8 to 10 people with stylish and classic interiors, and is located in the most romantic Alpine setting, with quick access to all the four skiing areas in the Chamonix valley either by car or by bus. 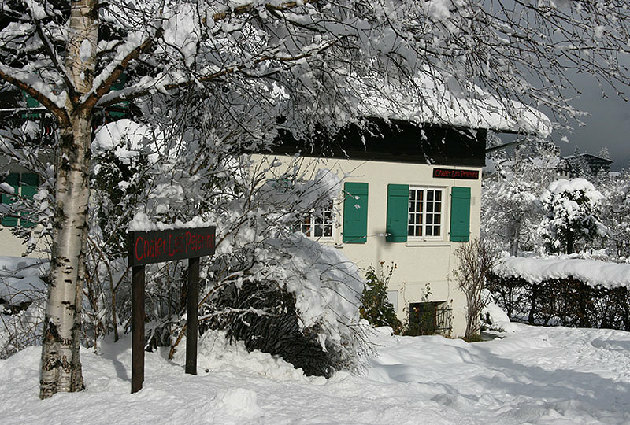 (Bus stop 3 minutes walk from chalet) The chalet is located only one hour&#39;s drive from Geneva. A sumptuous and beautiful chalet in one of the best locations in Chamonix spectacular views and very near the lift station at La Flegere. Les Tines Chalet Cassara can accommodate up to 10 guests. 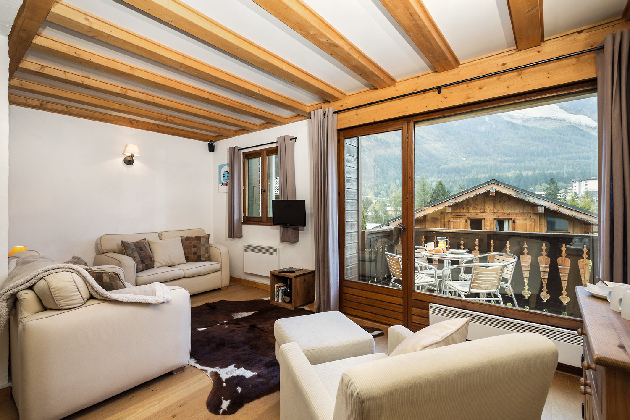 Chalet Charmoz near the banks of the Arve in Chamonix allows guests to enjoy a perfect stay in a perfect property, flooded with light and 360-views over the Mont Blanc, glaciers and Aiguilles Rouges. Les Pelerins Chalet Charmoz can sleep up to 10 guests. 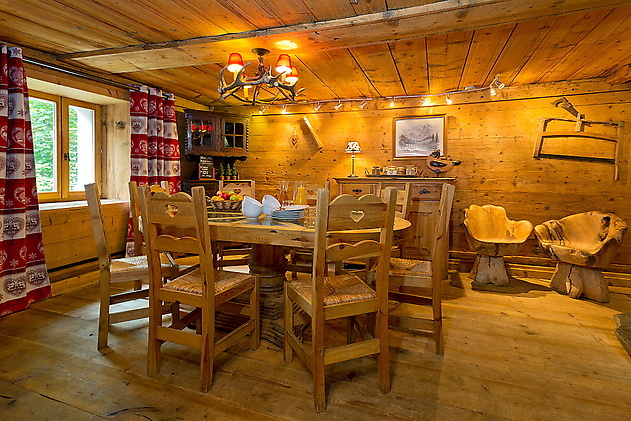 Very nice 170 square meters chalet for 10 guests. Includes a lovely terrace with sun chairs, breathtaking view of the Mont Blanc, south exposure. Also has a Ping pong table, TV, DVD player and fireplace. Garage for 1 car. Chamonix. On the slopes of Savoy which takes you up to Brevent, the main ski lifts in Chamonix town. 5 minutes walk to town centre. Sleeps 10 guests in 3 doubles (2 ensuites), 2 twin ensuites. 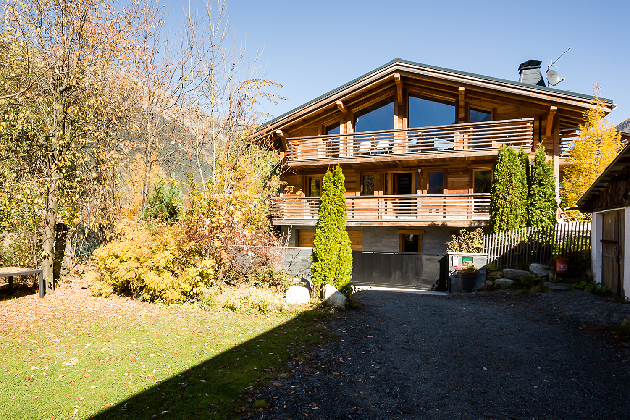 Outstanding 210m2 chalet in one of the best areas of Chamonix, Le Bois, with views of the Mont Blanc and just minutes from the skiing at La Flegere Les Bois. 4 km from Chamonix center. Sleeps 10 guests in 3 double bedrooms, 1 bedroom with bunk bed, 1 twin bedroom. 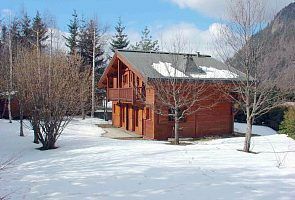 Superb chalet on three levels for 10 people, with a magnificent view of the Mont-Blanc range and a large garden. 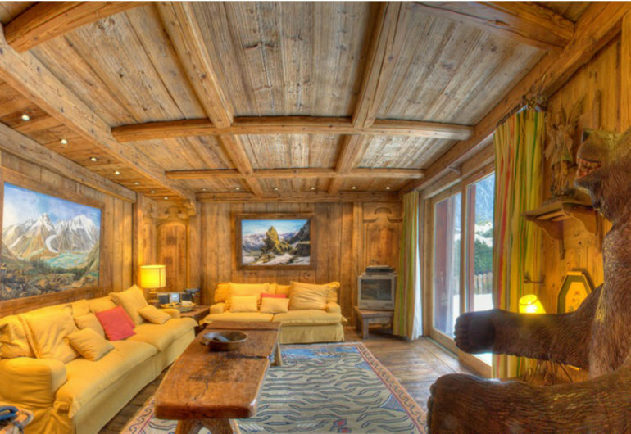 Be captivated this winter, by beautiful mountain views from this versatile Ski chalet for 10!nnCentrally located in the residential district of Argentière, this detached 5 bed chalet provides a super base for those looking to enjoy a flexible base close to the resort facilities, Chamonix swimming pool and Ski lifts. 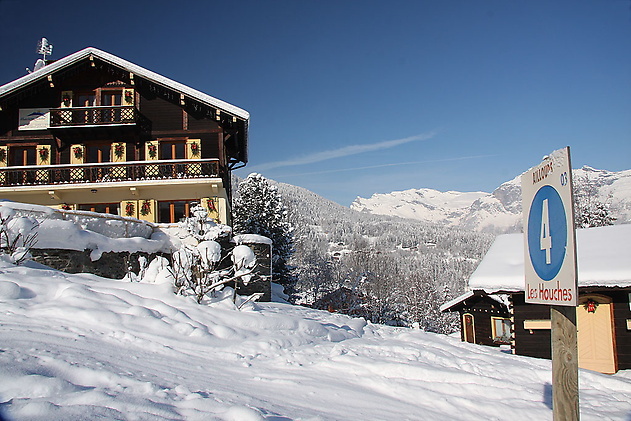 Enjoy the delights of the French Alps, from this fabulous well-equipped, pet-friendly chalet for 10! Occupying a sunny, peaceful backwater setting in the Taconnaz area of Les Houches, this versatile holiday retreat is a super choice for active group holidays! 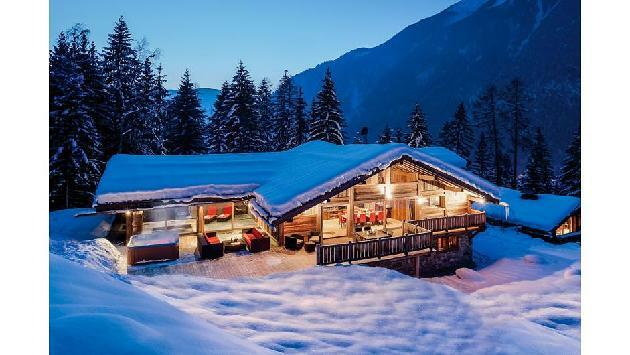 A luxurious ski chalet with a jacuzzi, a sauna, a real fire and four en-suite bedrooms and a TV lounge that sleeps two more. 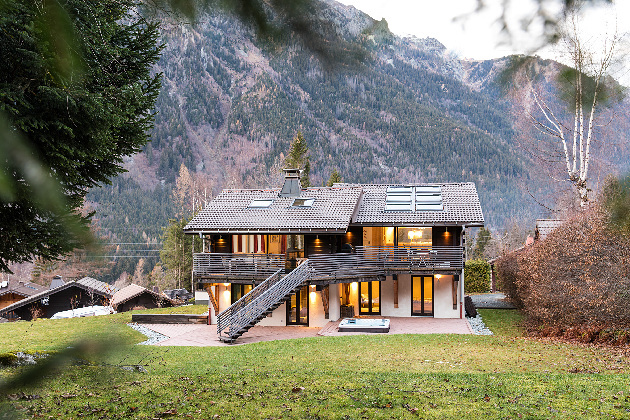 Nestled on the edge of the forest beneath the granite spires of Aiguille du Midi, Chalet Mia offers a sumptuous alpine holiday retreats for families and friends looking for everything Chamonix valley offers but away from crowds and traffic. 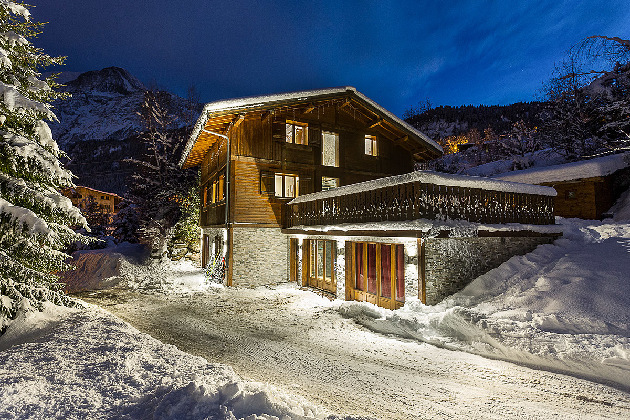 A luxury 4 bedroom historical chalet, tucked away in private grounds in the centre of Chamonix. Aurelia was built in the mid-19th Century by Gabriel Loppe, Chamonix's most famous artist, painter and Alpinist and best friend of Gustav Eiffel. 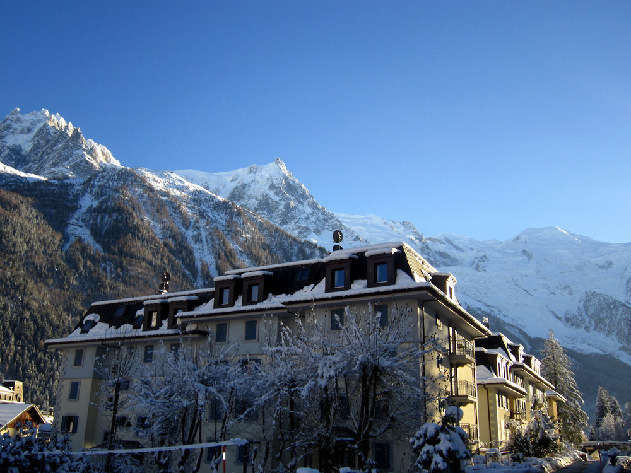 It is considered by the Chamonix Mairie to be one of the top 10 historical houses in Chamonix, and in a town with so much history in the story of Alpinism and culture - that really is something to shout about. 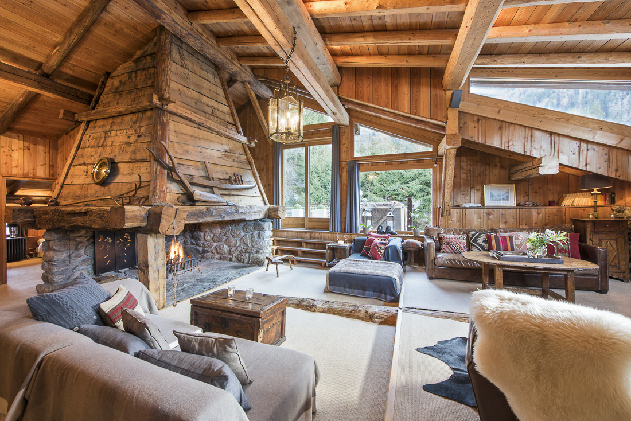 Chalet Aconcagua provides a warming and relaxing ambience, combining rustic farmhouse chic with complete luxury. Offering up to 10 guests; superb facilities including a heated plunge pool, hammam, sauna, outdoor hot tub and an amazing cinema room. 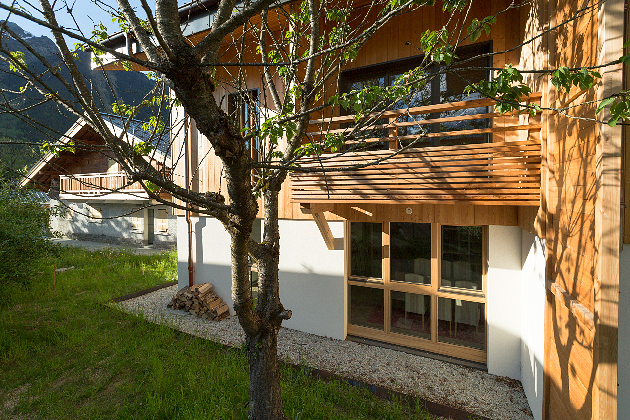 A brand new large semi-detached 4 bedroom chalet situated in a quiet part of central Chamonix . 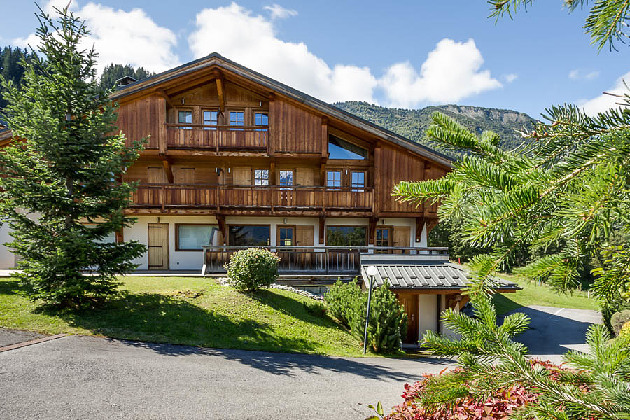 Its location is one of chalet's best attributes with all the amenities of Chamonix on your doorstep yet within a tranquil setting close to the mountain! Sleeps 8 guests. 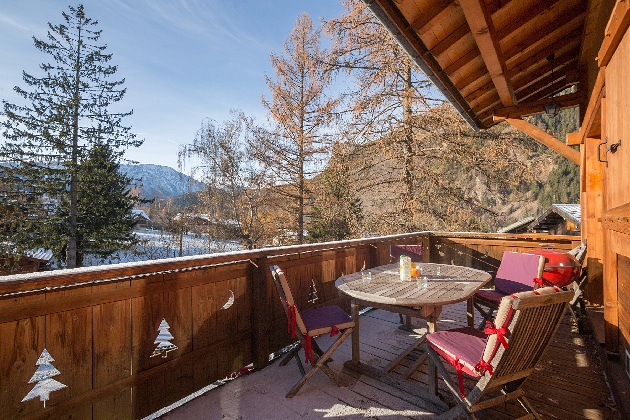 The chalet has a sunny south facing balcony with spectacular views of Mont Blanc. 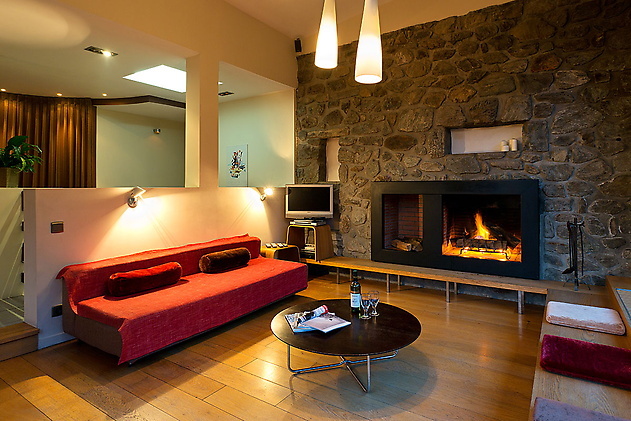 Log fire, comfortable sofas in living room. Chamonix. Located on Le Petit Balcon Sud approximately 10 minutes walk to the town centre. 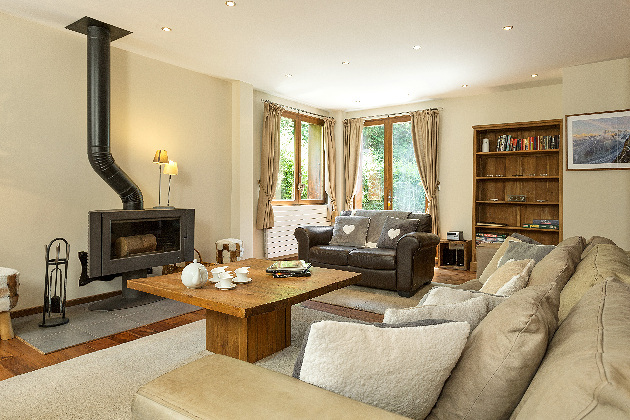 Sleeps 9 guests in comfortably 3 double/twins and 1 family room sleeping up to 4 guests. There is the possibility to sleep up to 10 guests if required. 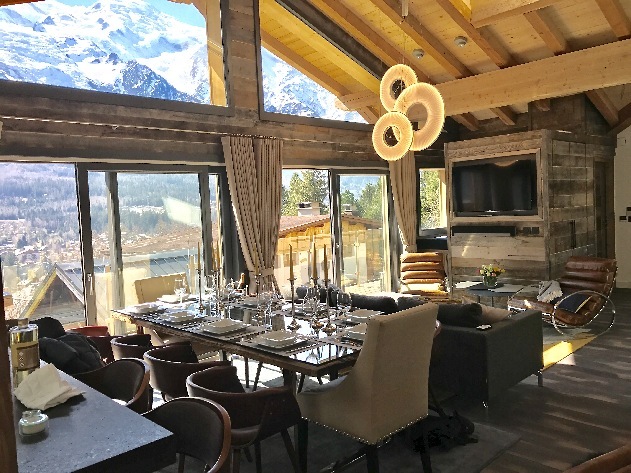 Brand New Luxury Chalet, 5 Bedrooms, ensuite, breathtaking views of Mont Blanc Nestled in the hamlet of the Moussoux in Chamonix Centre, this brand new luxury chalet boasts the best views in the valley and all the modern amenities for an amazing vacation in the French Alps. Sleeps 10 adults very comfortably, plus up to 4 kids) 4 en-suite bedrooms. Large open living room, kitchen and dining room for cozy nights in by the fire and socializing. Sauna, fireplace, parking, American style open floor plan with spectacular vaulted ceilings and ceiling height windows overlooking the Mont Blanc. You may not want to leave the chalet to go skiing...but if you do, world class skiing is a short flat walk at the Brevent lift. (5 minutes) Town centre is slightly further, down hill, with an amazing selection of restaurants bars, shops, cafes, and activities. 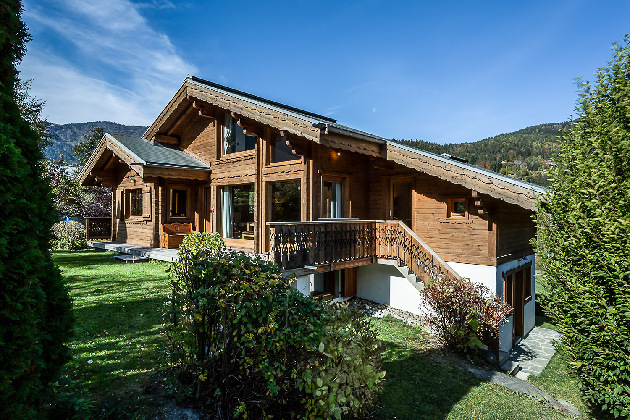 Chalet Ferraria is a stylishly renovated 5 bedroom chalet in the heart of Argentiere, just minutes from the Grands Montets ski area. 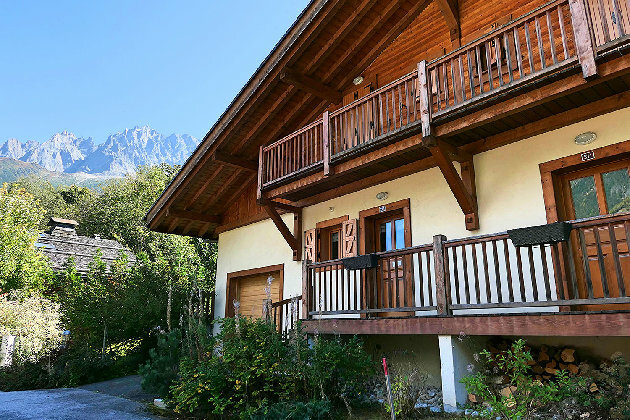 Stunning views across the Mont Blanc chaine and a lovely garden with hot tub make this the perfect place for your summer or winter Alpine visit! 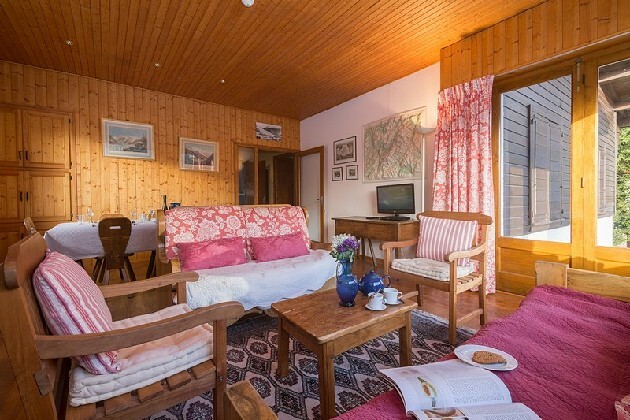 Chalet Hari brings together the convenience of a central Chamonix location and quality catered accommodation without the price tag.Central cosy Chamonix chalet which sleeps up to 10 in 5 bedrooms. Perfect family space and a short walk from the main bus stop. 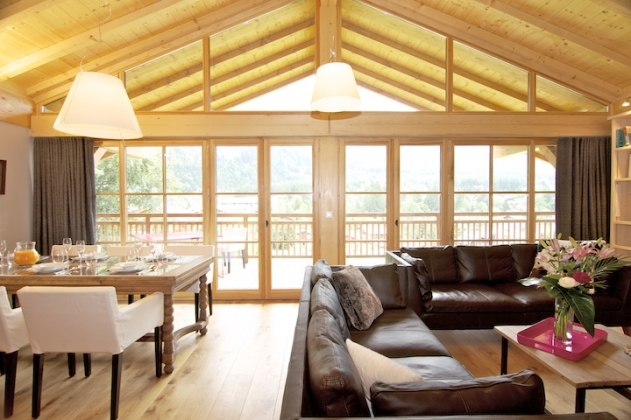 The chalet is fully catered and has balconies views of Mont Blanc. The chalet is located in a quiet area 5 minutes from the main bus station and 10 minutes from the centre of Town. 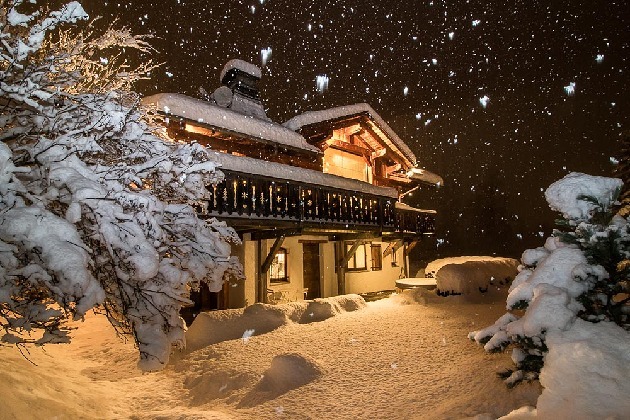 This chalet sleeps up to 10 people. Luxury 4 bedroom chalet in MontRoc with en-suite bathrooms, open fireplace, sauna/relaxing area and a large cinema room/play area. 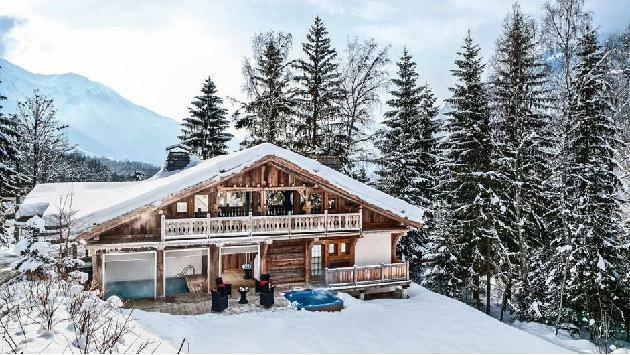 A fantastic chalet for friends or family. 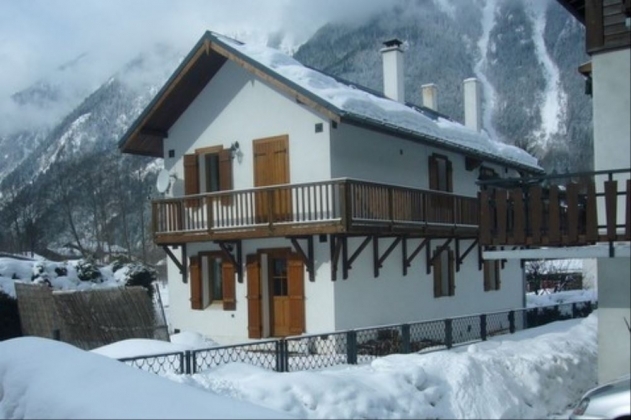 Located in Montroc which is just past Argentiere in the sunny side of the valley! 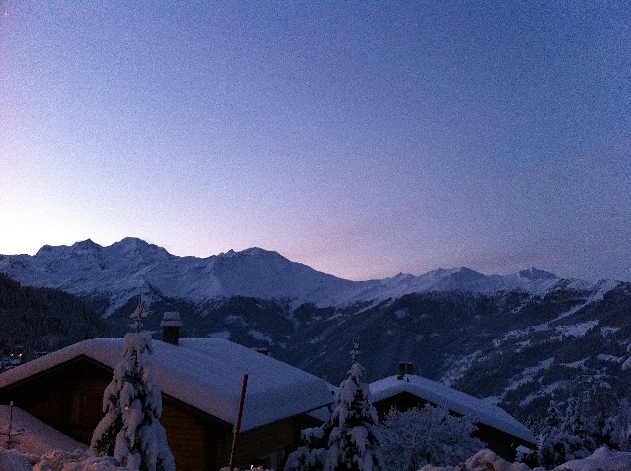 2 mins drive (500m) from Le Tour ski area. 50m from the bus stop. Sleeps 8-10 people in 4 double bedrooms with en-suites. Traditional wooden chalet. To one side of the chalet lies the famous Kandahar. To the other side of the chalet is an easy red run which leads to Le Prarion gondola. Les Houches. 50 mentres from the nearest chair lift Sleeps 8/10 guests in 4 bedrooms. 2 twins, 1 double and 1 twin/double. There is also a sofabed for an extra 2 guests.